Our export and supplying qualities are well appreciated among our clients that are spread all over the globe. 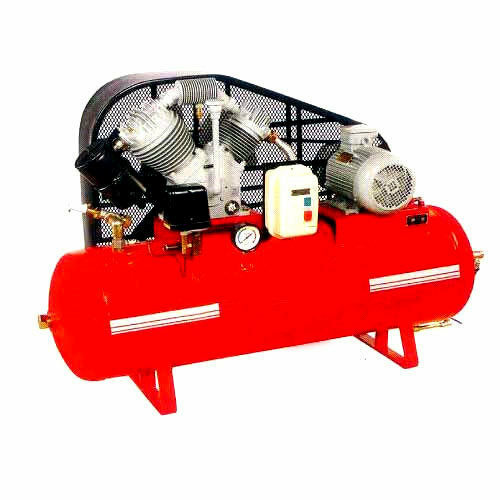 Known for simple operation, precision designs, high quality and best performance, our range of air compressor are very helpful in various manufacturing processes of different industries. These compressors are available at most cost effective prices. With our expertise and experience, Maaster Machinery & Tools are able to offer a wide gamut of industrial tools and machines to our clients. Our technical competence, dedicated team and excellent business policies helped us in maintaining our business success in this competitive market. We also take care of offering qualitative range of our products by keeping the details of manufacturing strategies, quality control and intense research and development. Our motivated team is with us in all internal and external affairs for innovative and improved products and processes. We work on the single motto of providing total customer satisfaction to our clients through our technologically advanced manufacturing measures, rich vendor base and customized solutions. Our qualitative range of tools and machines are in accordance with the market requirements and at most competitive prices.